Nutritionist and blogger Jessica Sepel shares a delicious recipe from her new book The Healthy Life. Preheat the oven to 160°C (140°C fan, gas 3). Line a large baking tray with baking paper and grease with the melted coconut oil. Beat the egg whites and maple syrup using an electric mixer for 5–7 minutes until thick and pale. Stir in the orange zest, vanilla bean paste, salt and coconut. Spoon heaped tablespoons of the mixture onto the lined tray, leaving at least 3 cm between the biscuits. 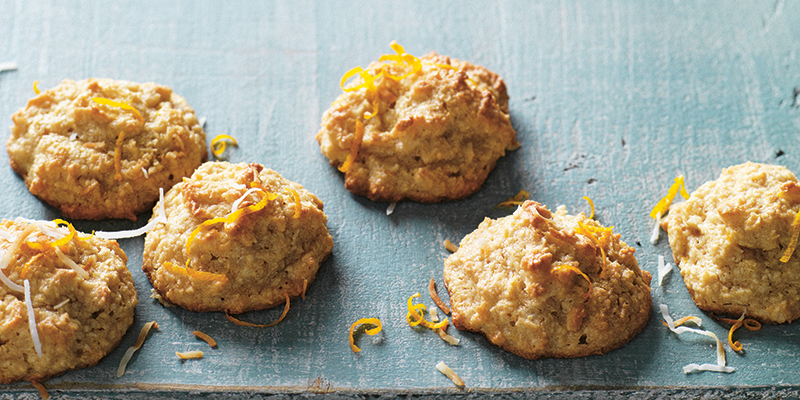 Decorate with shredded coconut and orange zest.